Forest Therapy is happening in Floyd, probably has been practiced here for centuries, however, what’s new is we are giving it a Focusing twist. Forest Therapy, also known as “Shinrin-Yoku,” refers to a practice of spending time in forested areas for the purpose of enhancing health, wellness, and happiness. The practice follows the general principle that it is beneficial to spend time bathing in the atmosphere of the forest. The Japanese words translate into English as “Forest Bathing.” On wet, misty days like we experience some in this area, the term “Bathing” even comes with the added experience of noticing a literal wetness on our skin. Human skin meets forest air. As Focusers, we know this as an edge, the edge where IF we pause now and pay attention, we can feel how the Forest is affecting us and maybe even get a sense of how we are affecting the Forest. If we bring interested curiosity and a sense of Presence to this experience here now, we open up for an expanded understanding about this “wet”, what it might mean for us in this particular moment of interaction with the Forest. It might feel like a cleansing, it might feel like an immersion, it might feel heavy and you feel yourself wanting to shake it off like a dog might. Any of us can go to the Forest and set an intention to do this on our own. The Focusing twist we are adding is that we are visiting the Forest together; practicing Self-in-Presence together as a group in the same piece of Forest, at the same time. This idea arose this year when a graduating Level 4 group was looking for ways to stay connected now that class was over. They came up with Forest Therapy and we have been gathering to explore various ways to “be together in Presence with the Forest“. I really, really like it. There are the benefits we expected. One being the commitment to the group – it’s easier to do this for ourselves when others will be there too. Carving out being time in this world of infinite doing opportunities is a real challenge for us all. I appreciate this as something that shows up on my schedule as something to DO that really lets me BE. Another benefit we expected was how good it feels to be with the Forest, and this is true no matter what the weather. Being experienced Focusers, we also expected to appreciate hearing each others felt sense experiences. During one visit, every one of us had some type of connection with death or aging. All were very different and unique to our current life situations and sharing gave us all a broader perspective than our own experience had. Which brings me to the surprise benefit. Together is MORE. More magical, more subtle, more metaphorical, more interactive, more experiential, more of pretty much whatever you were coming for. If you are a local Floyd Focuser and would like to join us sometime for Forest Therapy, I am forming an email list. Please reach out to me and ask to join it. We often meet at Smart View picnic area on the parkway on some Sunday afternoons and we are using other times and locations as well. Forest Therapy sessions generally last 1.5 hours. Because of our unique goals and wish to practice our Focusing skills here, these opportunities are only open to people with Focusing experience or by approval of the individual facilitator. Level 1 Focusing class experience is suggested as then you have a feel for Focusing partnership safety guidelines. We will have something like this we are calling Focusing Therapy Guidelines in our email reminders about events. The gist is that we will support each other in creating a positive Forest Therapy experience! Reach out Floydian Focusers if you are ready to join us. If you are not local and this sounds like something you’d like to try in another community, feel free to contact me to chat about how we started. I’m happy to share what we’ve learned so far. I’ve had peace on my mind the last few months. The peace of being ok with failing a goal. The peace of letting things go as situations change. The peace of changing my mind and not needing excuses. The peace of finding what to focus on next when the list seemed endless. The peace of being joyful while acknowledging yes, there is so much to be angry about. The peace of moving forward a very old shame as if it happens everyday. Especially the last one brings to mind an old Hasidic tale my Sufi teacher would tell. It’s about a young man who was struggling because he had planted seeds in his garden and could not figure out why they would not come up. He had done everything he was told. He had planted the seeds, covered them up and watered them. Every day, he dug them up to check if they had started growing and every day he noticed they were not and became more and more discouraged. Ha! No wonder his seeds were not growing, he was not leaving them space alone in the dark to sprout in their own time. How often do we do this to ourselves? Keep digging up something that is trying to grow within us and shining a judgmental light on it or maybe digging up something that makes us sad or lamenting on and on over that last failure. When we can remember to pause and bring whatever response we find arising within us back to the big picture of that situation, we can more naturally come to this place of peace. For instance, I have had a lot of frustrations with training our dog Lucky to stay in his yard over this past year. One event was particularly traumatizing in which he was only out of my sight about 15-20 min. He began severe tremors and twitching about 10 min after arriving home, after a $900+ vet bill, it turns out he must have ate some severely moldy food someone tossed outside from a home nearby. Recently, he disappeared for 8+ hours on the Saturday before Thanksgiving. All day, we are listening to the gunshots of hunters all around us bringing down that deer for the season, and wondering if he would be killed. When he finally showed up well after dark, his stomach was bloated and we got to deal with frequent diarrhea for a good 4 days. When he was gone that day, I imagined finding him a new home. When he is here, I see how unreal that is. Touching him brings all of this about our relationship back to the big picture which I can access only from my right brain. Here I can go back to the beginning, to all the dreams planted when we first committed to making him part of our family and to how much we enjoy his presence in our home. I can access what is not working from a distance, remember the hundreds of days each year he is no trouble at all and be open to trying new solutions. In the biggest picture, I am at peace with enjoying his presence here for now and also aware that this situation is not fixed. A day may come when we have to let him go for his own safety and our sanity. There are infinite ways to find peace within yourself for any given situation. They can all be referenced somewhere in our basic Focusing skills. I have also found it helpful to think about the neuroscience aspects of Focusing and practice Right-Left-Right (R-L-R). Every situation begins with it coming to our attention via our body-sensory system feeding an awareness into our Right brain. Maybe we become aware we are hungry. It’s essential of course, that we visit the Left side of our brain about any situation because this is where everything we already ‘know’ is stored. If we did not do this, every situation would seem new to us and we might eat something that makes us sick or is not even food. So here we have R-L in my meme above. Very often we eat from this place, something we have eaten before. It is not necessarily essential to bring what we know about satisfying hunger back to our right brain. In fact, this is how we function in many of our daily situations, we choose certain foods, this much of it, shop at that store, etc. because somewhere along the line we learned this choice worked for us. It’s very easy to stop here and sometimes, when our goal is to do what we know fast, it can be peaceful. Many times though, we will not experience a sense of peace about what we just ate. Instead we feel like we are spinning our wheels in judgments, fears and disappointment (some people might call this a monkey brain experience). In our story above, it is like the young man digging up his seeds every day just because he wants to know that they are growing and each time, becoming more disappointed. And so how do we know if we’ve brought an awareness about hunger back to our Right brain for the R-L-R cycle? A quick synopsis can come from noticing if you did this action with an agenda in mind. Our Left brain always needs a purpose for everything and uses that to rationalize it’s suggestions. Our Right brain would bring us mindful enjoyment as we smell, taste, touch, chew our food. Here are more qualities our Right brain brings to any situation: flexibility, possibility, integration, wholeness perspective, context, personal, empathy, more complex emotions than anger and fear, metaphors, non-verbal understandings, ok with not knowing, open to a new idea here. For instance, it is only by bringing a situation back to our Right brain, that we might find the understanding that we are not really hungry. Maybe we are tired or nervous and something in us has found food to be helpful. We only learn this by pausing to do R-L-R. We might still decide to eat in this moment and with this increased awareness of pausing to check back with our body if we really are hungry now in this situation, we likely are more open to changing this dynamic at times. Something new is brewing around our food choices now. I wonder if reading this has brought to mind something in yourself that seems to lack the wider perspective peacefulness brings? You might practice the pause of bringing back whatever you are doing to this situation freshly by remembering R-L-R. Let me know if you are able to use this in your life. If you would like to learn more about exercises like this for using your brain to expand your sense of peace, reach out and contact me about Guided Sessions or Focusing Classes that could meet your needs. Discomfort joined me a few weeks ago. I did not invite it. In fact, the timing was just plain poor! Discomfort arrived on the eve of my birthday. I had been busy all day finishing details at home and preparing for Bob and I to spend a couple nights camping. Camping is one of my favorite treats to myself. It had been 2 yrs since we last camped and much of me was excited. The weather was going to be amazing starting about 7pm. Interestingly, right before that a thunderstorm front was passing through our area. And so taking this into consideration, we arrived about 5pm. The campground was empty, the attendant said the storms chased everyone out. We would have the place to ourselves most likely. Wow! We had our choice of campsites. What more could we ask for? Well, this could have been a delightful story about the year I had the perfect birthday…and it just was not to be. Discomfort arrived within me loud and clear once we arrived at the campground. I could not seem to find ‘comfort’ in any of the campsites. All of them felt ‘not right’ in one way or another. I kept turning toward my discomfort, acknowledging it. All I could sense in that initial arrival is that there was ‘a lot’ and it was very nonspecific. It seemed to come from all over my body, and it moved. The discomfort triggered other parts of me that were upset that ‘discomfort’ dare to show up on my birthday. They did not like that and I created space within me for both to be here. Both something in me that felt uncomfortable right now and something in me that wanted the discomfort to go away because it was my birthday trip. This might have been enough. However, to top it off, there was some added discomfort outside of me. Both of my daughters were dealing with their own discomforts and we were trying to connect over the phone with a signal that was weak and often dropped our calls. This invited a sense of frustration to join the party. 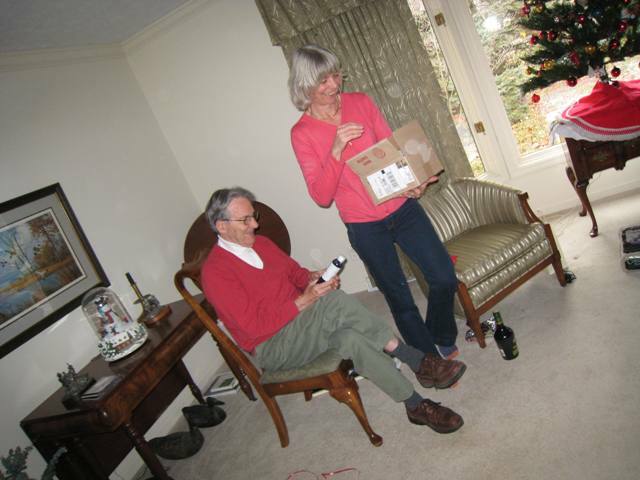 Thank heaven for Bob and our dog Lucky, they were grounded solid in grace and ease. Once we settled on a campsite, this did give me more of a handle on the discomfort. Now, my discomfort had a location to settle into and I could feel it making an effort to settle down like an animal might find itself a safe place to rest. And on the good news side, by consistently turning toward the discomfort again and again, I found it lifted by late morning the day of my birthday. Once it settled like this, I hardly noticed it for the remainder of the camping trip. And very quickly as I entered my body, I heard an explanation of where and why the discomfort was here. A week or so before my birthday, I’d started some new health routines. I was practicing a form of deeper breathing than I normally do – breathing to the tips of my fingers and toes, imagining oxygen rich cells reaching all of my cells, even those off the beaten path. The practice involves this very long deep inhale, followed by a natural exhale. Next, I had started chinese reflexology, massaging acupressure points on my feet and hands that correspond to aspects like my lymph system or organs like my liver. The understanding came to me that those practices (which were not in any way being judged or discouraged) had found tiny stopped processes. One might describe a stopped process as a situation we experienced at some point in our life in which some quality of Presence that was needed for that situation to feel complete was not available. The situation then gets stuck and held somewhere inside our body, until some point at which it gets connected, experiences the quality of Presence it needed and takes a life forward step toward our well-being. Ok, so I understood a bit around the timing of this discomfort and why I was experiencing it this week. Next, I settled in to turn my awareness toward the felt sense that had formed around this. I felt myself in Presence creating a special welcoming space, reminding myself that everything could be the way it was, that which felt discomfort as well all that that wanted the discomfort to go away. The discomfort entered the space as ‘blobs’, various shapes, not very well defined, all in neutral shades like greys and beiges. There were a LOT of blobs, they continued to enter the space for several minutes. I continued to greet and welcome them all, while something in me was a bit incredulous at how many there were. I sensed more about their emotional qualities. I could tell they were unsure of themselves, they felt young, unexperienced, unconnected, liery of what was expected of them now, and pretty clueless about what they wanted for me. Once they were all there, I watched as a shoe store opened in the space. The blobs were trying on shoes, all different types of shoes, as ways to explore what they might add to my ‘walk’ in life. I understood that what I had experienced over the past week or so as discomfort, was actually the birthing of all sorts of new potentials for me and my life. I understood that I might find myself engaging in new activities or skills this year that I had not been interested in before as these blobs found a form of expression within me. I ended my session feeling a sense of excitement around the potentials finding their way forward from within me. It made so much sense now! Hello my dear Discomfort, I now recognize you as my Potential. Several weeks have passed now. I occasionally notice my ‘Potentials’ shifting their feet or shyly peaking around a corner, still a bit uncomfortable. I pause and check what might be needed from me. Spaciousness seems to be the gist of it. In my Focusing session, this week, I did get something more concrete. I understood that more time outdoors this fall will provide some of the support for my ‘Potentials’ to continue their process forward. Nice, I can deal with that! All in their ripe timing, I trust my Discomforts will grow to be strong Potentials. And I trust the same for you. You might be wondering how one knows that it is time to Focus with a partner. I mean, overall, life is just fine right? No major changes on the horizon, relationships are holding their own, your body is more or less working. Obvious reasons to Focus are not on the scene of your life. So what are those clues that invite us to Focus? There are many ways our body, for whatever reason, seems to be wanting to bring our attention to an unfinished story or incomplete picture. Something in us keeps bringing the topic back up, again and again, and often with somewhat different overtones. I have an example that came up for me recently that I feel is very typical. Mine began a few months ago now. Sometime while I was sleeping one night I had a cramp attack. This one affected the top of my right foot. It was very painful at the time. I woke up and massaged my foot. Over the next few days, my foot continued to be tender. I began pausing regularly morning, night and sometimes during the day, to massage and gently stretch the top of my foot to relieve the tightness. Being the astute body-aware person I’m continually working toward, I noticed that the top of my foot remained tender and tight, kind of like, I’d just had the cramp the night before. It was not going away. 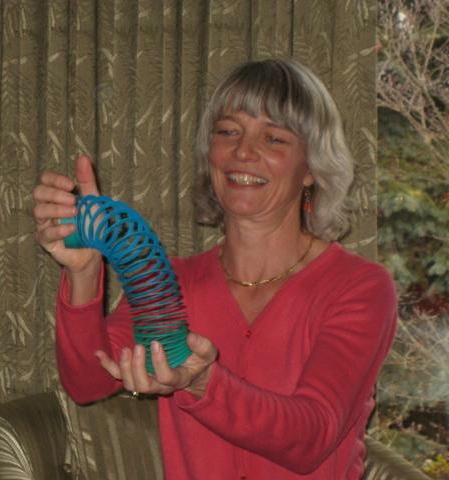 I continued to massage it occasionally and began a regular chi-gung like stretching routine with my foot every morning. As I look back now, I also became interested in Focusing with other body symptoms that I’ve had even longer. I meet regularly with my Focusing partner every week and have other opportunities to Focus in front of classes, so it’s possible I could have invited this tightness in the top of my foot many times. I did not however. Instead older body annoyances came to my mind. I’ve invited the itchiness in my back right before I go to bed and a funny bump on my thumb. They’ve all had more to say than I imagined. One of these feels complete now and one is still unfolding. Interestingly, I’ve seen charts that say my feet are shaped like those of Roman lineage. I believe the scars and wisdom our bodies hold in our DNA goes way way back, as far as it needs to reach for us to understand where we are going now. And so here I am! Interested and curious to learn more about what my body knows about slavery, how it relates to my life now and maybe what more is there for me to understand. This feels like a potentially complex topic, a large holding space, definitely the type of situation I’ll be best able to understand with the support of my Focusing partner. Who’d have thunk it possible? Somehow beauty and illness don’t seem to go together very well. My experience going through a bad bout with the flu is showing me otherwise, though, thanks to the process of Focusing and the qualities of Presence that are at the heart of it. What an amazing journey going through an illness can be when the time and space are created to really be Present with the process and all that arises throughout it and when the body’s needs are deeply listened to and honored at every stage of the way. When I got bulldozed by the flu a few days ago, the first thing that was needed was re-prioritizing my to-do list; everything that’s not absolutely essential has to wait, including dishes and laundry. Information input and output need to be severely limited, because there simply is not the energy available to deal with them. This means cyber surfing is out and any correspondence with folks is limited to only the most pressing and is kept as brief as possible; all others will just need to wait. That done, it’s time to settle in with what is here right now, acknowledging with Presence (which is gentle, open, spacious, compassionate, curious, loving, quiet and nonjudgmental, among other things) everything that is going on with my body in this moment, which is a LOT! Ah, there is the deep ache in the bones of my legs and feet, the ache in the bones of my face and jaws and the pressure and fullness in the spaces between; I can feel my pulse beating in some of these places and am also aware of the high-pitched, unwavering internal sound of my nervous system hard at work. Then there is the internal sense of a fever and the heat flush in the face that it brings, along with the sense of top-heaviness and fatigue that always seem to come with it, as well as the chill and feeling of not being able to get warm enough. Interesting for me to note that there is nothing within me that seems particularly unhappy about these current conditions I find myself in, even though it’s not exactly a fun and enjoyable experience to be having. Maybe this is just another testament of how much the process of Focusing has already changed my experience of life and how I relate to everything that shows up for me. So now that everything that’s currently going on with my body has been acknowledged, it’s time to listen and sense in deeply to what it is needing – is it bed rest?, fluids- if so, what kind? (some favorite kombucha, please, with extra Vit.C thrown in), food? (definitely No! ), fresh air?, sun?, quiet?, some nurturing music?, etc. All along the way, I’m becoming more intimately acquainted with my body, of how my habitual patterns of holding myself often contribute to the tension and aches that my body experiences and how even seemingly minor shifts in posture can open up a sense of spaciousness and ease where there was none before. How very cool is that?! Why Practice? Maybe, Why Not. Practice, the practice of our Focusing skills, has been on my mind this morning. I feel so much how something in me wants to share this understanding with others. It wants to somehow communicate – that glimpse of CONNECTED, ALIVE, FLOWING AMAZINGNESS you touched on in your Guided Focusing Session, or in your Focusing partnership experience, or by dropping in on your own while hiking – that is the tip, just the tip. There is no limit of course, to the unfolding that happens when we are tapped into life forward movement. We are like the water droplet in the stream flowing, winding this way and that, over rocks, whoa! riding in ecstasy down the waterfall, pausing to chill in deep swim holes at times, maybe evaporating on a rock here and then coming back down as rain up ahead, new adventures unfolding, ourselves continually evolving. 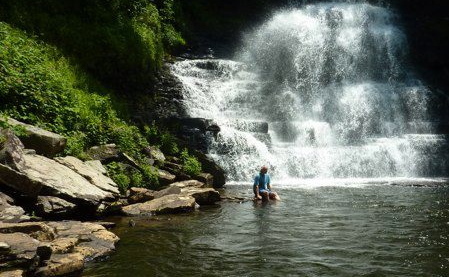 Magical places like the Cascades waterfall near my home, give me opportunities to explore this knowing more. I love standing under this waterfall and then diving with the droplets into the deep cold pool. It’s our Focusing practices of deep listening, being with, the grounded acceptance, trust and compassion of Presence, that create a safe container for me to explore this world more and more expansively. And, I have to practice these skills. My job gives me numerous opportunities to practice this state of being and I maintain a regular weekly Focusing partnership and I STILL lose Presence many times every day. We all do and I do not have a sense this is changing for humanity anytime soon. It’s not a bad thing. It means I, or we sometimes, have more edges to explore. Those of us who practice Focusing regularly often move from healing our own individual stuckness to holding space for things that feel bigger than us individually, societal issues, like racism, slavery, money, time. This of course, will only unfold this way, if you invite it. One of the most ingenious aspects of the classes I teach, is that we are first and foremost, taught that we have the power to chose what we Focus on. There are so many different ways one can continue to work with our Focusing skills. Take a class, treat yourself to Guided Sessions, design your life so you have more time in environments that feel safe for you to practice this state of being, practice regularly with a Focusing partner. There are so many more. Focusing meets you wherever you are. All the personal inner work we may have done or life experiences that support relational Presence, feed into our process. If you do not have much of that, Focusing still meets you, it just might unfold slower as you exercise neural pathways that have not had much use to this point. The path will be different for each of us. The why not practice is the jewel here. Regardless of where you start, our Focusing skills always move us toward a way of being in our bodies, a way of living our life, that feels fresher, more open, more alive, than if we do not practice this skill. Many of us spend way more time in these second two states of being than is healthy for us. They are not the ground upon which we grow. They are the ground upon which we get sick, develop serious health issues and find ourselves viewing life as more of a struggle than joy. 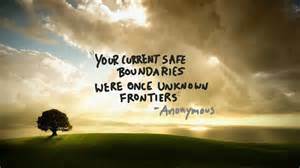 And so, how do we move ourselves closer to that ground upon which we feel safe, socially engaged, alive, thriving? One way of course, is to practice Focusing. We describe this same state of being that Porges defined as Presence or Self-in-Presence and we actively seek it. As part of our practice in establishing Presence, we pause, we sense into our body right now and really check: are we comfortable, can we feel a sense of support with the earth, the floor, our chair; what do we need to ask of our Focusing companion in order to feel safe, can we hear them easily; we might scan our entire body briefly, how is it interacting right now in this environment; we might notice our breath, acknowledge however it is as ok. Many of these concepts point us toward environments in which we might find ourselves naturally in this state of being. Nature for instance, is a place where we feel our feet upon the earth and are surrounded by the aliveness of fresh air. The earth is bigger than all of the problems she carries and she reminds us that we are too. Bringing awareness to our ears brings up Music. Music – that which we interpret as comforting – is another environment that brings Presence more easily for many of us. Certain people do this for us too – those couple close friends or family members we’ve come to trust will accept us as we are. Mind-body awareness activities like meditation and yoga encourage this state of being by bringing our awareness to our breath and scanning or sensing into our body. Yoga’s reminder to ‘find your own edge right now’ reminds us we are in a safe place that allows us to sense and choose our movement. WHAT STATE OF BEING DOES EACH OF YOUR ENVIRONMENTS BRING OUT IN YOU? I often find myself wondering how I might support those who are interested in Focusing in paying more attention to their environments and the state of being it seems to encourage in them. I know that if they are going to thrive in my Focusing classes or hold onto a shift they experience in a Guided Session, the environments I send them back to are factors. I’ve been reflecting on this a lot lately as we’ve noticed a surprising HUGE shift forward in one of our cats, Tess. Tess has been here about 1.5 yrs. When she first arrived, we could tell that she came with lots of baggage and emotional trauma. We have one other cat, Eva whom we’ve had since kitten times who has much less of this baggage. These two tolerate each other, mostly living in different parts of the house (Tess downstairs, Eva upstairs). They generally do not choose to engage socially in pleasant ways. Well, two weeks ago, a new puppy joined our household. Lucky is 4 months old, a lanky, good-natured guy about 30-35 lbs. He also lives downstairs so Tess has a new roommate. It took her maybe a day or two to decide that she really likes him. Something about his Presence relaxes her and makes her feel safe in ways we had not yet figured out how to meet. Her body is less tense, she is less needy of our attention and she has expanded her typical behaviors in many ways. Last week when we got 16 inches of snow, she jumped from footprint to footprint in the snow to keep up with Lucky, Bob and I on a walk. She often claims Lucky’s dog bed if he does not. She has learned to expect a treat for coming in the house when called just as he receives one. She joined Lucky and I today for all three of our walks so far. In the morning we walk the immediate yard, then after breakfast and after lunch, we take various walks around the woods and fields of the 29 acre community we live in. That’s some leg work for a cat! Now, isn’t that interesting that adding Lucky to our household turned out to be the ground upon which our cat Tess would grow! I am very happy for her and for our entire household and I also have to admit, I did not anticipate this. And so I am getting to my original inspiration for telling this story. The ground upon which our next growth will come is often a surprise – to our organism and certainly to those around us. IF we do not act on or try out these aha surprises, we may never know the growth our organism is wanting for us to experience. Let’s look again at Focusing theory. We know from Gendlin’s Process Model Theory that a felt sense of any particular situation holds a knowing of it’s way forward, what would feel like ‘fresh air’ for it now. This knowing comes as an experience – much more than words – and yet, when we can find words or images that match, this knowing becomes clearer. Back to our example, we had noticed that Tess was not afraid of the dogs that live in our community, she would walk near them, even talk to them, boss them if they got too close. We took that into account in deciding to bring a dog into our household. Our thoughts were something along this line: “worth a try, over time they will get along”. And what a pleasant surprise! They not only get along, they engage with each other in positive thriving supportive ways and they pull me in as well. I’m thriving in ways beyond what I had expected when I hang with these two! I have found it easier than ever to create space in my day to walk and hang with these two. Each time I do this I feel a sense of ‘fresh air’ as I shift what I’m doing to take another walk. I’m utilizing the times I pause to let Tess catch up to us to creatively add exercise moves to my walk too. I carry weights and might do squats or jumps or body twists. I often used to use walks to help me process thoughts, so although I was walking in the woods, I might still be mostly in my head for much of the time. Like I needed the walk to ‘get out of my head’. With these two as my environment, I’m whole-brain-body engaged from the start. I am talking with them both, sensing into my body, acknowledging thoughts, actively trying new things and enjoying what it feels like to just be with this all. Isn’t this interesting? The same ground that our relationships ‘Lucky-Tess-Sandy-Nature’ bloom from is also the ground from which my relationship with myself is currently blooming. I’ve wanted more ground from which to be practicing whole-brain-body living in my life. I had a sense that saying ‘yes!’ to a puppy was in that direction. Yet, until I tried it, I did not really know what it would all bring. And of course, this is just the beginning of where this will lead me. These two share an appreciation for the environment of a warm fire too! There is a feedback loop in my experiencing here that reminds me of something I used to teach about oxytocin. This state of safety and engaged social interaction is supported by oxytocin. Oxytocin acts as both a neurotransmitter and a chemical peptide in our bloodstream. It is produced and released whenever we are in this state of being. Oxytocin is highly unusual for our bodies in that it functions partially on a positive feedback loop. When some of our neural/ hormonal receptor sites become full of oxytocin, our body does not turn off production. Our body responds instead by activating MORE oxytocin receptors. We now have a greater capacity or depth from which to experience this state of being we call Presence than we did before this experience. I’d love to see comments, stories, questions added here to this post about your experiences. We are such creatures of habit. I am so experiencing this as I jump on my rebounder (mini trampoline) this morning. I’ve had a routine in place most of the year that works for me. I use arm weights and I do 60 of this, 60 of that, etc. It happens to last 10 minutes so I’ve noticed for awhile that I rarely jump more than that at a time. And something in me really wanted to both jump longer and have more variety. I’ve known this for a few months and I’ve held space for what it might be that motivates me to change this routine. WHERE OH WHERE MIGHT MY MOTIVATION BE? My motivation finally came in the form of merely glancing at an article about how effective interval training is for the health of our heart and brain. I already knew this research and so an aha! went off in my brain. I’ve saved the article to read and realistically, I may never get back to it. The mere glance seems to be all I needed to get me off exploring various ways I can use the rebounder as an interval training tool. I naturally am jumping longer. I feel a sense of appreciation from both my heart and brain that I care about their physical needs. I also happened across the exercise bands that the rebounder came with in the past week and am now using those to change things up too. The interesting push-pull I am noticing as I jump is all this about the playful fun that I experience with variety and the ease I experience of relaxing into a habit. Yes, I have more variety and Yes, something still pulls me toward habit. For instance, I noticed this morning that the first arm movements that I chose to jump at my very fastest rate, want to be there again when I jump fast. I’ll hear something like ‘we know this works’. On the other hand, when I listen to that aspect of myself which likes variety, it would like to try raising my arms to my sides for instance rather than over my head. It says ‘let’s try something new here’. MOVEMENT COMES WHEN I HOLD SPACE FOR BOTH SIDES. In a Focusing sense, I was very aware this morning as I exercised that I am holding space for both of these opinions within me. And THIS ACKNOWLEDGEMENT IS HUGE. We know from our Focusing practice, that whenever we have something we know we want to do and somehow are not doing it, then always, there is something there not wanting it. I see clearly now that until I recognized/acknowledged that in me that liked the habit I was in, I was not going to move forward easily with satisfying the hunger in me to add some variety and thus, meet my goal of jumping longer. Oh, the appreciation I feel right now for how much my body wants good things for me!! The appreciation expands beyond these two opinions too. I feel how all of my cells feel energized when I exercise. From this expanded awareness: I flow, I feel empowered,supported and I am easily motivated to meet my goals while having fun! Simply good stuff. Maybe there is somewhere in your life now where you have had a successful habit, are wanting to adapt it and are surprised that a change is not happening easily. I suggest you pause sometime that feels right and drop into your body. You could invite this issue either on your own or in a Focusing partnership. Be curious… Is the success of your current habit actually preventing you from adapting something new? See if you can imagine a space within you where you can acknowledge that what you are doing now works with ease and that you have a new goal, that both are here. Keep in mind, you might need some time for the new step to come to your attention as I had the article come to mine. When you feel the ‘fresh air’, the ‘aha’ moment, now be sure you are holding that wider space for all of you. Some of you might want to think of it as inviting both your right and left brain to be involved. From this place of integration, where you feel bigger than any one idea you have about this, notice now if you find it easy to move forward. I’d love to hear from anyone here if you try this and are still stuck or if you try it and things move. I am often asked about the benefits of Focusing. And my answer always has a new twist because something new comes to my own or another Focuser’s awareness that I’ve talked with. 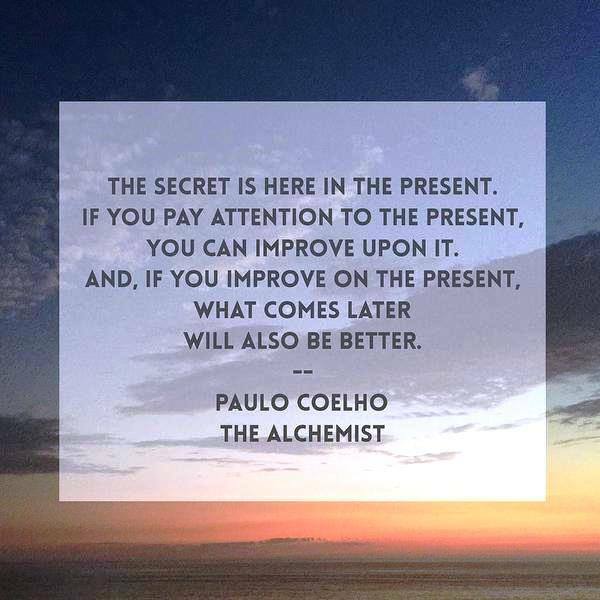 This has inspired me to begin a list of how Focusing changes one’s life. Some of these you would glimpse in a single Guided Focusing Session. Most of them unfold as you practice regularly, really giving yourself time to rewire and integrate your neural circuits to live more of your living moments from the power of Presence. I Focus because it alters the way I perceive being here alive in this body – more and more my neural pathways are aligned with THRIVING. I experience my life as thriving and everywhere I look I see thriving or at least, the potential to thrive. “LIVE CONNECTIONS” My ability to experience feeling open, flowing, alive, connected in any given moment has always been with me. NOW, because I understand how to regularly practice my Focusing skills in a partnership and in my daily life – this sense is with me frequently. Very nice. They say our bodies are more electrical than chemical – I get it! We all get STUCK sometimes. Something in us stands firm and says “I’m not moving on this one!”. I had the honor of filming a local Focuser yesterday share a touching story of how she used her Presence skills so this part of her felt understood. What had been stuck transformed and immediately she had a sense of flow to her life again. Yay for her! And yay for our Focusing movement as we now have video as a teaching tool! Focusing is the Essence of CHANGE. And, this change is always experienced as toward LIFE FORWARD MOVEMENT. Evolution does not happen randomly once at the time you were conceived. Every time we move forward, we contribute to all of humanity. We pave the way and it is easier for those who follow. Chew on this one a bit. Focusing is a BODY AWARENESS skill. By practicing, we build our neural pathways to comfortably live more and more from our bodies. Our bodies are always in the present moment so this profoundly changes how we experience life. To feel PEACEFUL. No more critical voices inside. A regular Focusing practice transforms our inner landscape to a place of respect, honor, trust and love. REALLY. To resolve PHYSICAL PAIN. Physical pain is something in our body wanting our attention. When it feels understood deeply, like we learn to do when we Focus, it does not need to be that way anymore and the pain releases. Sweet. To improve your RELATIONAL skills. Sensing what to do or say next in any conversation takes practice and access to the right words. We got that all in a nutshell and simple like. Focusing invites our EDGES, whether these be creative, blossoming or rough edges. These are the places in us that are fuzzy, not quite known and by Focusing the edge clears. We now know what to create, which way, better who we are. We call this experience a FELT SENSE SHIFT and this is what makes Focusing unique from all other body or mind awareness techniques. Learning to Focus is an investment in YOURSELF. Focusing is a skill that you carry with you every moment of your life. No matter where your skill level is when you start, practice improves it. Relational encounters with yourself, other people, animals, nature, all become easier and deeper. YOU’RE WORTH IT! The experience of a Focusing PARTNERSHIP is priceless. I used to believe my inner world was something I had to navigate alone. Baloney. Focusing teaches us that 95% of what we can do for each other is Be Present and we ALL can learn to do that. Imagine living life knowing you can always access someone who says “I’ll go too”. From Self-in-Presence, the state of awareness we practice while Focusing, you will experience that you are ENOUGH. You will know that you are loved and valued as is – with all your holes and imperfections. From here is how you move forward any feelings of low self-esteem or unworthiness from your earlier years. 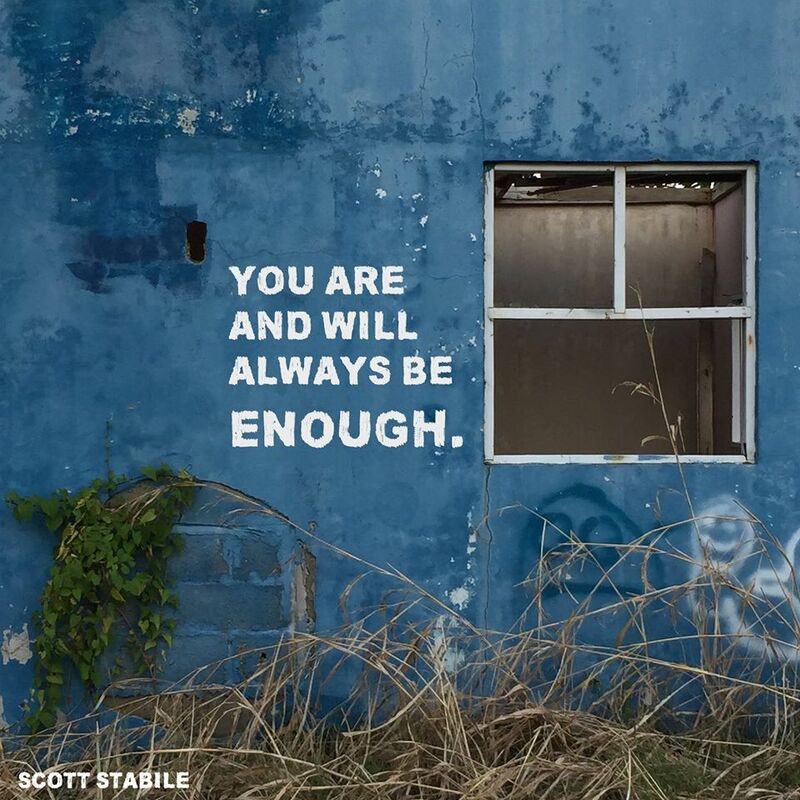 Now, you can authentically live from this knowing that YOU ARE ALWAYS ENOUGH. To honor the SCIENTIST in you. Science as it is meant to be. Focusing involves a state of awareness that includes both compassion and curiosity. Imagine when your beloved family member begins to tell you that they totaled your car, that while feeling a tightness rising in your stomach, you are able to listen to their story with both curiosity and compassion. Curiosity and compassion for them, as well as for the tightness rising in your stomach. To get past SHAME. Most of us carry shame from ‘something’ we did in the past. We typically push it way down there deep. It can create health problems. Focusing attention is just what is needed for that sense of shame to release you for good. To CLEAN UP OUR CLUTTER. Old stuff clutters our head and body with repetitive thought patterns and disease. Focusing gently, gradually finds what is no longer relevant to our lives and offers it a way forward to a thought or action we’re happy to display on our shelf. To differentiate TRUTH from STORY in my head. This is a real challenge for a lot of us. Until we experience how to differentiate the two and learn what it takes to reconfigure our neural pathways, we are puppets to our stories. This may not be so obvious to us and is often quite obvious to those around us. To sense what FOOD MY BODY NEEDS right now. Very helpful each morning as I peruse the supplement cabinet. By dropping into my body, I hear YES, NO or MAYBE (won’t hurt, won’t help – ha!). By consistently listening, I’ve developed a stronger trust that I am taking good care of my body with the foods I chose to eat. To FORGIVE myself and others for not being perfect. Forgiveness comes when you can really stay with and extend empathy as needed to whatever needs to be heard and understood within. Harder things often take another listener, right there with you, reminding you, yea, we’re all learners here. 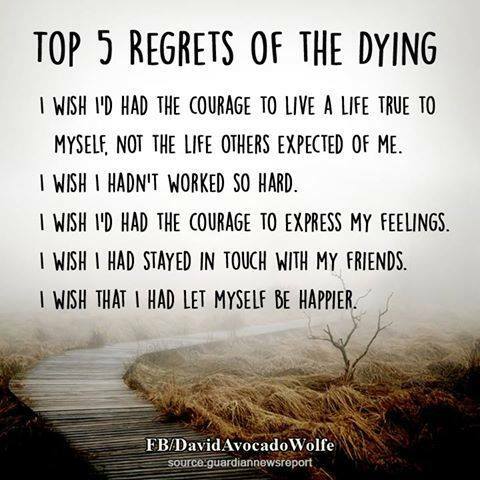 To AVOID REGRETS like these. The practice of Focusing builds my ability to stay present in the moment with whatever is happening; relationships of all types improve. Every minute I spend practicing always moves me closer to my authentic self. That self is now always evolving and so I am continually moving farther and farther away from regrets like these. To make DECISIONS that feel good NOW & LATER. This is the immediate version of no regrets. If you have two choices, one at at time imagine they are true and listen to what your body tells you. The phrase ‘your gut knows’ comes to mind. Your body has been with you from the beginning of all your choices and will be with you where you are going next – might be worth your time to improve your ability to communicate with it! To RESOLVE PAST TRAUMA including PTSD. If at any time in our past, we did not have the emotional resources to deal with a situation, a stopped process occurred. This is held in our bodies. Eugene Gendlin’s “Process Model” explains this and the complexities of how our bodies interact with our environment in any given moment. Much more is happening than we are normally aware of. The deepening skills and partnership support of Focusing empower our bodies to gently unwind any stopped processes we still carry forward to FREEDOM. We can ALL learn this and be this support for each other. The impact of this is BEYOND HUGE. Please help me spread this awareness. To move through BIG TRANSITIONS with EASE. Job changes, loss of loved ones, moves, etc. bring stress for most of us. When I am Self-in-Presence, I trust myself, my choices and I feel supported by the universe. Without careful listening during these times, we miss clues and limit the scope of our creative potential. To shift our thoughts from fear-based (all those things you are really NOT WANTING to have happen) to the dynamics of what you ARE WANTING, love, thriving, open, accepting – thoughts that describe your passions and desires for your life at your highest level. Oh what a world this will be! To make friends with my TO-DO LIST. The pace of my life is truly a delight these days. I pause to hear all the options. I make the choice freely. Amazingly, I do not have to do everything that I care about, things get taken care of quite well without me trying to do it all. Focusing is an integrative process. PARADOXES of all sorts that we naturally carry inside of us such as how we all carry and express BOTH MALE & FEMALE energies are able to find a peaceful co-existence. You will no longer feel tugged in one direction or the other depending on where you are, who you are with or what you are doing. So you can GROUND yourself in HIGHLY EMOTIONAL situations where overwhelm, anxiety or anger might take over. As we practice Focusing, we learn to distinguish 3 states of being: Presence (the ability to be with our emotions calmly – we get better at this) versus either Merged (as in I am my anger and everything around me now knows it!) or Exiled (I refuse to accept that I can be angry and I’ll hide that anger deep, deep down there where even I cannot find it!). To step out of the BLAME GAME. Focusing occurs from a state of being we call Self-in-Presence. From here, we experience relationships without judgment. Hallujuhah! The Blame Game loses its punch, we’re playing life in a different ballpark now. To catch the SUBTLE CUES. Every moment in life carries so much more than we normally notice. 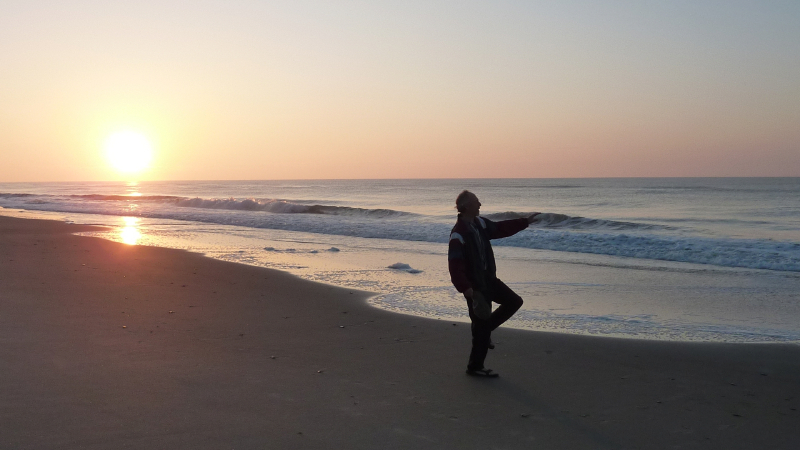 The practice of Focusing opens our body awareness up so that we catch more, miss less. To END ADDICTIONS once and for all without forcing yourself. Addictions are attempts to distract us from getting close to an old emotional issue. We learn here how to give ourselves the type of Presence we were looking for at the time and the whole thing dissolves to no urge no more. To tap even deeper into your CREATIVE POTENTIAL. The skill of Focusing moves within us like a spiral, the better we get at Focusing, the more expansively we reach the furthest edges of the potentials of human creativity. 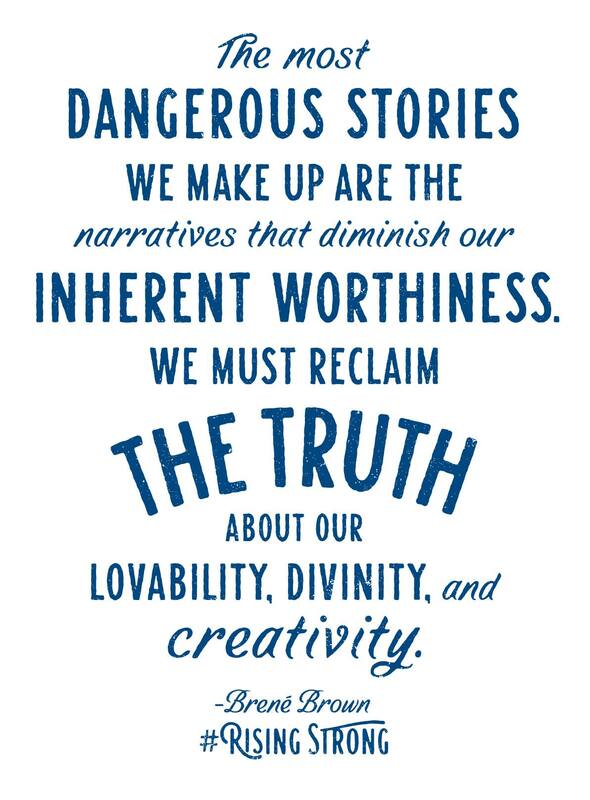 And always, we move from the center of our unique truth. To lose the DISTRACTIONS. Be Focused. C’mon y’all – let’s do this! Has life become stagnant? Focusing brings more FRESH AIR experiences into your life. Pausing to Focus invites something fresh to be here now and you are taking time to really breathe that experience in. To HEAL quicker from illness and injuries. Our body’s circumstances are uniquely ours and our body knows intricately what is going on and what we need to heal. We need only ask, take some time to listen deeply and then be skilled enough to understand what is being communicated to us. This works so much better than relying on the opinion of others, even ‘experts’. There is a lot less maybe, a lot more clarity and we move forward quicker. Focusing is like meditation in that there is often SILENCE. 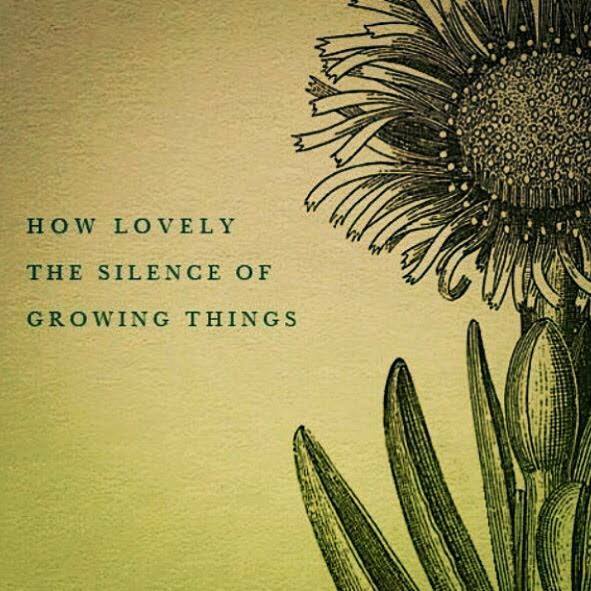 This is not the silence of being with stillness, more like the silence of growth and movement. To hold GOOD BOUNDARIES with grace, ease and also, with an awareness for what is needed for your growth now in this environment. BEYOND WILLPOWER lies Presence. Focusing works in situations where willpower alone won’t cut it. To clearly and compassionately COMMUNICATE YOUR NEEDS. Naturally find yourself using invitations and suggestions with others. This skill helps you avoid being interpreted as telling others to do something. To understand how one can experience EMPATHY for another person’s experience WITHOUT JUDGING that experience as good or bad. If we are not judging, then we are also not weighted down by the sorrows of the whole world on our shoulders. Radical? Yes. To move past FEELING ALONE or DEPRESSED. Focusers know how to be with something in themselves that is lonely or depressed and over time, it will not need to be that way anymore, evermore. To be FEAR NO MORE. The potential of failure is a perception you can move past. As a Focuser, you can find forward movement in everything. To feel eternally SUPPORTED and BE HAPPY, no matter what challenges life brings our way. 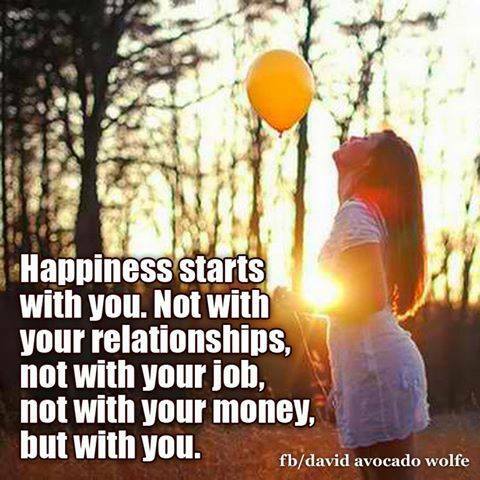 Happiness lasts when we build our structure from the inside out. Those who PIONEER living a Focused life now pave the way for future generations. It is our YOUTH that will keep the evolution train moving forward. Those who come after will do what we can and more. YES. Is there something you have been trying with all of your might to bring into your life and somehow failing? Are you tired of beating yourself up to get things done? Is there too much grunt and not enough gain? Possibly there is a quality of Presence that you are missing. Join me for this FREE one hour talk as we explore the qualities of Presence that can bring lasting change to your life and interactions. The program begins at 10:30am on Saturday, Oct 17 in the Community Room at the Jesse Peterman Memorial Library in Floyd. The library is located at 321 West Main Street across from the Food Lion in Floyd. The program will be repeated over a telephone conference line on the same day at 2:30pm EST. You can call in from any phone line from wherever you are. The number is 1-218-632-0694. When prompted, type in the passcode 252014#. You can attend both if you wish. Last week I attended a learning seminar put on by The Institute for Brain Potential called Calming an Overactive Brain. It was essentially a lecture given by Dr. Ted Dumas. I was looking for the latest neurological research around other activities/factors that would support our ability to Focus in addition to practice, practice, practice. Dr. Ted did a wonderful job of packing the day with an incredible amount of content. Focusing was not specifically mentioned, however, there were some things like meditation, CBT, and optimism training that leaned toward it. What I would like to share here are the couple of jewels that stood out for me as likely supportive of our Focusing practice. That is, what can we do now that supports neurogenesis, our bodies ability to create new neural connections so that our physical body-mind has all the support it needs for our Focusing session to unfold with ease and grace? The first that came up is our gut health. A healthy gut flora is enhanced by PROBIOTICS and this homeostasis plays a LARGE role in our brain development. Interestingly, these probiotic or healthy gut bacteria do best with a proper diet as well and for them, these are prebiotics – non-digestable complex carbohydrates. We do not digest the prebiotics – our probiotic bacteria do. If you would like to feed your gut flora some foods that enhance their well-being, here are some choices you might consider: onions, garlic, honey, legumes, dandelion greens, asparagus, artichokes, bananas, wheat, oatmeal, red wine, breast milk. Research has also shown that eating sweetened yogurt as our sole source of probiotics is not recommended as a way to enhance our gut health. The added sugar feeds Candida in ways that seem to counter the benefits of introducing more healthy gut flora. Fresh fruit added to plain yogurt is a much better option. And even better, be sure you are getting your probiotics from a variety of sources like sauerkraut, miso, kimchi or kombucha. And the second jewel that stood out for me throughout the day is BDNF. BDNF is Brain-Derived Neurotrophic Factor. I know it previously as like a Miracle Grow or fertilizer for our brains. Probiotics increase BDNF as do antidepressants, cognitive behavioral therapy and voluntary exercise. BDNF promotes neuron re-wiring, strengthens synapses, stimulates neurogenesis and overall improves our mood and memory. Good stuff. Thus, we want to be moving and voluntarily exercising to support our Focusing practice. My Focusing sessions in which I invite whatever would like to come to my awareness often have shown me how much my body loves to move. We tend to start our Focusing practices seated with our eyes closed; however, our overall goal is to be Self-in-Presence and open to aha moments as we go about our daily lives, eyes open, moving, interacting. I invite you all to notice what was in place or supported you in making this shift? I am reminded me of some retreat exercises I’d done in my past called Walk & Talks. Essentially, people paired up and went for a walk. Each person took 15-20 min to talk and the companion practiced compassionate non-judgmental listening. I remember distinctly feeling a strong attachment with one companion I had such that the two of us stayed in touch for years after that retreat. Our mutual sharing was that powerful. With the weather improving, this research has inspired me to explore this ‘Walk & Focus’ concept in our more advanced classes this summer – let’s see if we can Focus effectively while taking a walk with our companion. The BDNF will potentially be flowing more as we move and our brains will feel that support. Let’s be curious together about how Focusing and movement co-create within us! Here is an artist’s de piction of the thriving aliveness she felt in her brain during her first Guided Focusing Session. Thank you Anne McAllister! And lastly, when Dr. Ted came to the part of the day that emphasized what we can do to support calming our brains, he frequently brought up the PAUSE. Oh, now if that does not bring us all a big smile! There is research showing that slower decisions allows us to consider all the consequences and come to choices that feel like they benefit the whole team. This process occurs in our prefrontal cortex and they have some aspects of the holding it all process mapped out to a specific part of the prefrontal cortex. For example, the pause helps us replace bad habits with good habits and this happens in our ventral striatum and anterior cingulate cortex. Our replacement behavior must also replace the pleasure or reward produced by the bad habit and pausing in that moment allows us to identify causes and triggers. Research shows that “just don’t do it” is not a good long term strategy and that it helps to have a habit replacement partner. Focusing practice teaches us the same things – acknowledge and accept the bad habit and invite a companion. Understanding the bad habit is actually our short-cut to arriving at a habit that feels thriving. And good habits that feed our minds and bodies are like best friends that we can always use more of. Ok, that feels complete for now. I’d love to hear any thoughts, comments, ideas this brings up for you. Then you will be wondering more about what Focusing is. There are many ways to describe it. Here I will say that Focusing is an easily learned method of inward bodily attention that opens new possibilities and meaning that can lead to lasting change. Focusing is a natural skill that many of us in Western cultures are not very good at because getting good takes practice and practice has not been readily available. Until now. Since Focusing is first and foremost a body awareness EXPERIENCE, a Guided Focusing Session with me is your best bet when you are ready to try out the Focusing process yourself with your own inner relationships. I also have a beginner class, Being Your Own Best Friend, that allows one to explore these concepts individually without diving into the partnership activities of Level 1. Feel free to contact me to discuss this individually in whatever way makes you comfortable. Like any other skill, use Focusing or lose it. In this Introduction to Focusing, you will learn a practical step-by-step process you can use with any life issue, on your own & in partnership, now & in the future. Focusing is a body awareness skill that allows you to access your own body’s wisdom. Practicing it essentially wires our brains to a more holistic cooperative state of being, integrating our right and left brains, our emotions, body and mind. Focusing is also the essence of change and we become more comfortable with what it feels like to hang at the edge of something new that is emerging. Focusing can be used in many ways. Our motto in this class is Empowered Focuser, Relaxed Companion. The Focuser is always in charge of their inner process. We unlearn western cultural habits of fixing and setting others straight and how to be what is most needed as a listener. Once you have taken a Level 1 Focusing workshop, you can practice as often as you’d like with local Focusers in person or with someone from our online Focusing community via phone. This workshop is generally offered in five 2.5 hr sessions over a period of 2 months. Focusing practice between sessions with others in the class is highly recommended. LEVEL 2 is about deepening into the Focusing and Listening process by looking more at the role of the Companion. A companion to ourselves as well as others. We learn lead-ins. Then, wherever your process is now, this course nurtures your next step. Our ability to be larger than our emotions or challenges gets stronger. Our understanding of what it is like to stand on the edge of something new gains clarity. The structure of the class for Level 2 is very similar to Level 1. We continue our emphasis on Empowered Focuser, Relaxed Companion and on deepening our understanding of this state of being we call Presence from which all the rest of Focusing unfolds. If you are a healing professional or have opportunities to support others (kids, clients, friends, etc!!) as they process a life situation, the guiding tools of Level 3 and one’s growing ability to understand every relational encounter as somewhere ‘in process’, are invaluable skills. This is also a great level to consider repeating sometime. And… last with the idea that we spiral here happily ever after, I’ve designed LEVEL 4 to be my NEW VERY favorite Level! One I imagine would invite us back every so often as a way to reground in the principles of Focusing. Class 1: Focusing as a Way to Grow; Sensitive Empathic Listening goes a Long Way. We’ll meet approx. every 3 weeks for 2.5 hrs a total of six times or for about 4 – 4.5 months. Our first 1.5 hrs will be checking in and exploring our topics. Our 2nd hr will revolve around a Demo in class with process feedback. Unlike Levels 1-3, there is no partner practice during class unless you are in the Demo. There is some essential reading. It’s relatively deep, the type that reveals something new for us from year to year. There are also several areas that we might look at closer depending on what comes up in individual processes. These additional readings and support materials will change yearly as I come across new materials. Focusing encourages us to explore that new edge and there is plenty of new emerging in this field to choose from. Thus, each group that comes together will create a somewhat different experience as we re-ground in a deeper level of trust in ourselves, our current experience and that it’s all going somewhere life-thriving. If you have a regular Focusing partner, you are welcome to Focus with them throughout this class. If not, I will suggest partners either from this class or our greater community. To get the most out of this class, I’ll suggest you Focus with a partner regularly between classes. There will be lectures, demonstrations, question periods, group exercises, and paired exercises. You will be paired to practice a Focusing exercise with another participant each class session. There will also be an additional paired homework exercise between sessions that will take approximately 45 min. Even with local classes, this additional exercise is usually done over the phone. Please plan to attend all 5 sessions for the full time of the meeting. Missing one class is acceptable. If you miss more than one class, it is best to repeat the Level. For the videoconference class, all you need is a computer with a camera. You can also attend via a cellphone. You’ll be able to see everyone in the class, generally, whoever is speaking appears larger at the time. You can mute and turn off your video camera as needed. Recordings may be available if you miss a class. Video seminars work amazingly well. Hope to see you here! AND share what you know about Focusing with others. Together, we ARE the movement! First Friday Focusing Gatherings in Floyd – ENDING Aug 7!! Because the majority of our Focusers who attend First Friday’s Gatherings will be in Focusing classes beginning in Sept, we will be discontinuing these gatherings for now. Our last one will be on Friday, Aug 7 from 6:30 – 8:00pm at The June Bug Center in Floyd. Our topic will be Focusing with Gratitude. If you’ve been thinking of coming out, I encourage you to join us this month. If this does not work, please reach out to me personally for more information about Focusing. I may also schedule some free talks at the Library if there seems to be interest. Each month, Focusers will receive a handout reviewing the topic as well as suggestions for how to work with it more on their own or within a Focusing partnership. There is a $10 suggested fee for Focusers to attend, no one will be turned away for lack of funds. These gatherings are an opportunity for beginner to experienced Focusers to gather and practice and they are also open to NEWCOMERS for a one time free visit. If you are curious, this is an opportunity to witness one way we practice this skill. As described in wikipedia, Focusing…involves a holding of a kind of open, non-judging attention to an internal knowing which is directly experienced but is not yet in words. Focusing can, among other things, be used to become clear on what one feels or wants, to obtain new insights about one’s situation, and to stimulate change or healing of the situation. As you watch, you will be encouraged to be a ‘compassionate scientist’. A compassionate scientist is more than just an objective observer. We’ll invite you to listen empathically, sensitively observing the living process that is Focusing. Like a naturalist who has come upon a new creature in the wild, you will need all of your senses to discover what is unique and special about Focusing. Listen carefully. Notice details. Sense the big picture. Learning and practicing Focusing will bring you in touch with a larger intelligence inside you; an intelligence that is body-based and that can sense what needs your attention. An experienced Focuser will be able to know, from moment to moment, whether what they are doing is coming out of their truest sense of self and how that feels. In the role of compassionate scientist, you will get a ‘feel’ for how the Focusing process works. Once we decide to try Focusing, our first step is often a Guided Focusing Session from a Certified Focusing Professional. For many of you, that will be with me. For those who feel any kind of conflict toward trusting me, I can refer you to another Professional who can provide a guided session over the phone. You can also search yourself on the focusing.org website for Certified Focusing Professionals. SAFETY in this process, in general, is an important topic you may be aware is holding you back. Possibly some of these points will help. I can also send you more information and would be glad to have a more in-depth conversation in person or on the phone around this as well. First, in Focusing, we are primarily working with an inner experiential process and if it feels best, each of us can keep ‘what’ the experience is about, to ourselves. All content that might come up in a Focusing Session is always 100% confidential. I have not signed any oath to report certain anythings. Next, Focusing is relationship building and we will be encouraged to honor what feels right to the inner relationship. One shares what is wanting to be acknowledged and accepted out loud. 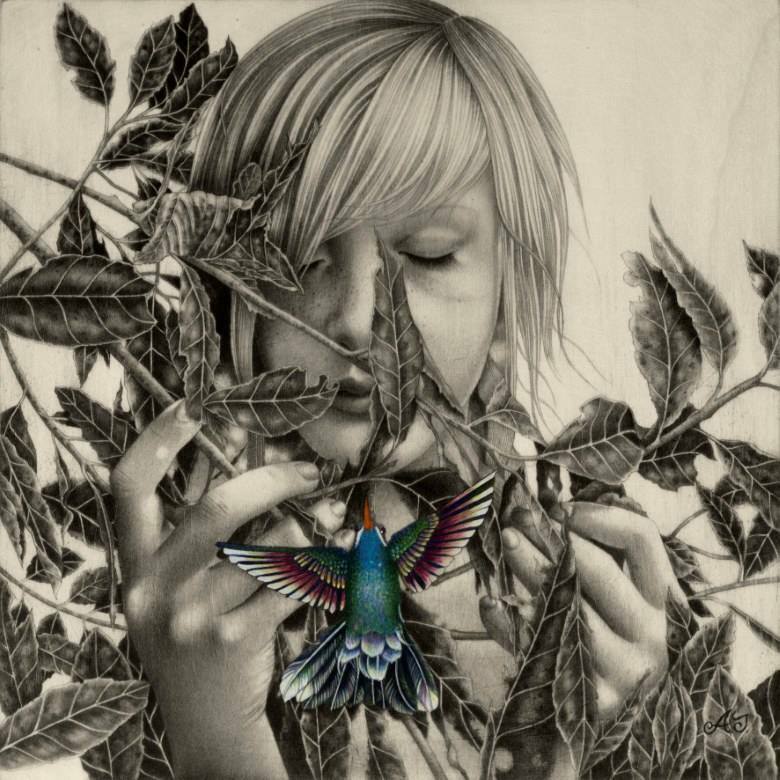 Anything which feels tender or needing to be protected would be acknowledged as that or silently to yourself. This sense of safety and trust in the Focusing partnership process builds gradually over time. Guided Focusing Sessions are precious self-care time. Both you and I are doing nothing else but hanging out with, listening and inviting whatever inside of you is wanting your awareness right now. You are holding what we call the Focusing Attitude of friendly, open curiosity toward whatever would like your attention. When something comes freshly (‘a felt sense’ experience), I will help you acknowledge it and sense into how it might want you to be with it. You will get a feel for all the ways your body might choose to communicate with you – physical sensations, emotions, images or thoughts. Every inner landscape is different and every Focusing session is different, yet, the core desire to connect and be understood weaves in, among, around and through it all. And the experience of appreciation is often there, especially at the end, like one would feel for any authentic time with a good friend. If something hangs around awhile, this is often an opportunity to get to know it better, possibly come to fully understand it. Sometimes there is not much communication, sometimes it is ‘hang out and do nothing together‘ that some part of us most needs right now. This is not wasted time. We are building a groundwork of acceptance and trust from which we will grow. This same understanding that we are developing from inside may be just what we need next in our outer relationships as well. Our body holds all of the complexity of where we have been, who we are now as well as a sense of where we are going next. A Guided Focusing Session is an opportunity to tap into that rich fabric that is our life. Guided Sessions are very helpful for moving through past or current issues that seem to be stuck or to re-invigorate your own sense of self. They are approximately 90 min for first time sessions and closer to 60 min in general. Guided Sessions, like massages or other self-care, are often helpful to integrate into your life on occasion as needed. My current fee is $50-80 (sliding scale) for a Guided Focusing Session. Sessions can be held in person at my home office or via phone or Skype. The prerequisite of having a Guided Session with someone who is certified to teach Focusing ensures that we are all on the same page in terms of understanding what type of experience we are practicing and exploring when we enroll in a Level 1 or similar workshop. I have recently added two books to our Focusing Library which are more application than learning the actual technique. 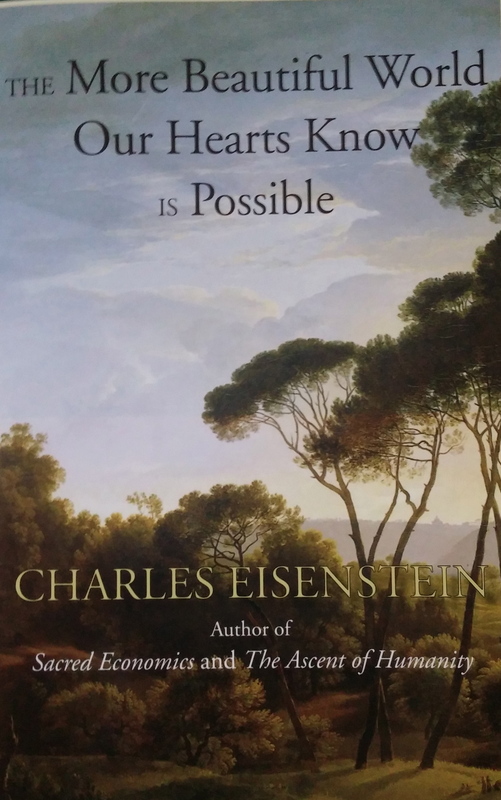 The first is a new book by Charles Eisenstein called ‘The More Beautiful World Our Hearts Know is Possible’. This is categorized as Sacred Activism. I highly recommend it as as way to bring up potential Focusing edges to work with. The second book I finished reading this weekend. It is called The Folio, A Journal for Focusing and Experiential Therapy. It is a series of articles primarily by Focusing Trainers around the world on the topic of Focusing and … Crossings and Integrations. And it is way cool as well! Both of these books have inspired me to reconnect with what I am really wanting out of all that I went through to get certified and all the time I spend now in guided sessions or facilitating Focusing workshops. Here is what I came up with today: I want to thrive and be surrounded by communities that thrive. I want to live with all the aliveness my body provides and do this both from a sense of joyful freedom and boundaries that keep me safe. I want everyone in my communities to have access to experience, practice and learn Focusing if/when they desire. The Folio has inspiring stories of what happens when we take the Focusing attitude we learn out into the world. I would like to share a few of them here. There is a story that community activists will relate to called Becoming Ok with the Not-Yet-Ok about taking our relational Presence skills to government board meetings, to corporate executives, to the media, and to organize our neighbors. It describes the experience of holding space for this all to move from Not-Yet-Ok toward Ok. And it covers knowing when it is time to step down and let others take it from here. There are stories about integrating Focusing with teaching architecture, art therapies or being an artist. All of these are enriched through the Focusing understanding that there is no line of separation between our body and the universe, and that we influence and are influenced by all that is around us. 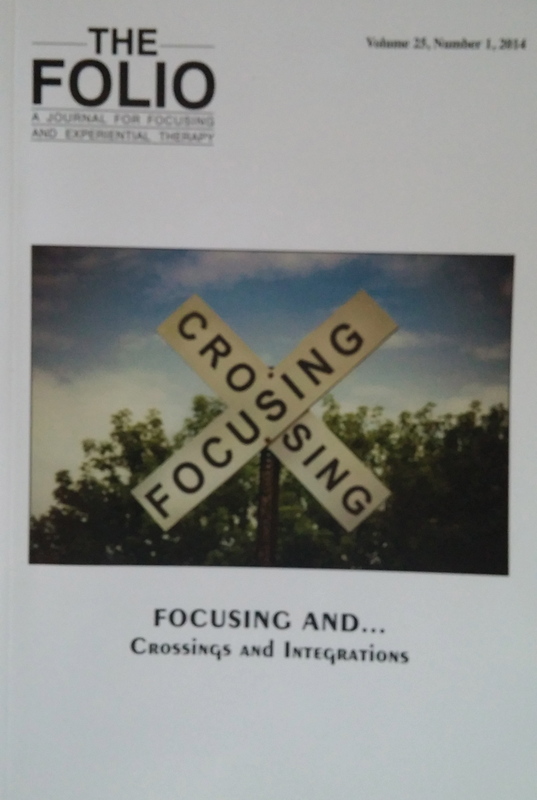 There are articles on crossing Focusing with Ken Wilbur’s Integral perspective, with Carl Jung’s work, with Marshall Rosenberg’s Non-Violent Communication, with Mindfulness work such as Jon Kabat-Zinn, with Spirituality and with New World Meditation techniques. There is something called Recovery Focusing that was born in Costa Rica that combines Focusing with a traditional Twelve Step program. The author came to understand that the healing that happens in Focusing is due to the relating, not just the attending inside. “It is the interaction with another person itself that enhances the interaction with our own inner experiencing, opening up spaces that are not possible without that connection. As Gendlin maintains, during these human encounters, our responses interact with each other and carry forward our experiencing, bringing forth solutions that previously were not available” pg 61 Suzanne Noel. There are more. I loved the article on Wholebody Focusing by Kevin McEvenue. I recently downloaded a bunch of articles from his website that I look forward to reading soon. He crossed The Alexander Technique with Focusing for “an experience of the body coming alive to itself, the instinctive body, the body of evolution, independent of me.” He also describes this bodily quality as “spontaneous inner-directed movements that seem to have a life all their own.” His story is a reminder that the Focusing attitude of open, curiosity grounded in compassion develops gradually and continues to invite us out into the world at our own pace with whoever or whatever we find in our environment that we want to relate with. With each relationship, a larger sense of our own Presence emerges. Using Focusing techniques, they are able to get right to the core of a need. They boost their success by inviting community members to sense what they are already good at, and then move forward from this place that already feels some sense of thriving. One group of war-ravaged Afghans they worked with chose the ability to sleep at night without drugs as something they would like to improve. The facilitators taught them the single aspect of coming into their body and then noticing how their body feels when it learns to relax and find a safe place. This reminds me that sharing Focusing skills is not just about helping others become expert Focusers … little bits of the process can be all that is needed to bring about life forward movement. Lastly, there is a story about Eco-Focusing that inspires me to explore this further in partnerships. In one sense, nature itself is a Focusing practitioner, echoing the elements of acceptance, filling us with curiosity to feel it, be in it, be part of, or witness to, the changes that occur in it. Is it Ho! Ho! Ho! or Oh NO! And so, November is here and the holidays are almost upon us. I am wondering how is this year coming down for you? Are you feeling lots of HO! HO! HO! holiday cheer or is it more like the mega holiday stress filled with endless OH NO’s!? And maybe you feel both, oscillating up and down from one end of the holiday spectrum to the other, moment to moment. Sure, holiday work parties are fun, but will you blow it with a flippant comment about the new work schedule? Last year, your boss avoided eye contact for months when you spoke so freely at the party. And why is it hardly anyone touches the dish you bring to gatherings – are you really that bad a cook? And then there was the pain of gathering with family over Thanksgiving. Heaven help you when it comes time to buy gifts. How do you usually navigate ‘all of this’ about the holidays? Wouldn’t you rather be relaxed about what happens the next two months? How grand when our critical self does not get all riled up around expectations. I am grateful to say that I rarely get stuck on any aspect of the holidays anymore. I find myself flowing with and through issues that come up for me with a sense of ease that is not so different from any other month of the year. How do I do this? It’s really not rocket science. I believe anyone can find this flow if you are willing to make time for a pause. No multitasking, this is a real pause to just be with yourself and whatever is coming up for you about the holidays. We could even try a little exercise right now. Maybe sink a bit into your chair as you are reading this. Create a space of quiet time to just be with what’s going on inside of you right now. Your body holds immense wisdom about your life. It’s the one that has been there with you through every holiday season since you were born. If something comes up for you, whatever it may be, turn toward it as if you are gently greeting a friend. Acknowledge that it is there. Picture yourself just hanging out with it, getting to know each other better – like you might do with any good friend. Maybe it shares that it is very tired of giving gifts that are not appreciated. Reflect that back to be sure you are understanding it correctly. Try using phrasing like this: “I’m sensing something in me that is so very tired of giving gifts that are not appreciated.” If you got that right and it feels heard, it might share more. For example, it might add that it is not wanting you to waste money, or spend so much time looking for gifts or maybe it is just fed up with how MANY gifts are expected. Maybe it’s other people’s expectations that get you stuck. What is it for you? The list might be quite long if you have not taken time to listen within like this before. Once all of the “not-wanting” has had a chance to be heard, it is likely that you will notice parts of your body that were ‘tight’ or ‘wound up’ about this issue, have now relaxed. Ah…now take just a bit more time to pause and let this more relaxed feeling be there in your body as much as it would like. And maybe another moment to appreciate all your body holds for you and all it has shared just now. There is an incredibly powerful moment of healing each time something in us really feels heard. A shift occurs, from the inside. It brings fresh air and a whole new perspective about your issue. There are names for this process. We call the experience of being with this body process a “felt sense”, the shift itself “life forward movement” and this whole new way of pausing to listen within “Focusing”. I am obviously an avid fan of Focusing. My holiday pausing here is just one little exercise, one little taste, of how simple it can be to tap our own truth and wisdom on a regular basis. Today for instance, I experienced another example. I was exercising to a video that is a bit intense compared to my recent routines. I came to a part for one leg where I decided to take off my ankle weight. Wouldn’t you know it, because I was present and listening, I heard clearly my other leg chime in at the exact same place and ‘remind’ me that I took off the ankle weight for the other leg here, so might I do that for it as well. ha ha! Of course. I responded, “I hear you” and sensed clearly that this action felt right to honor now. Off came the other ankle weight. All this inner processing happened easily within a few seconds. Note, for those who are not experienced Focusers, it may be harder to do inner listening alone and really trust what you are hearing. Regular focusers generally partner with another person every week or two and take turns being Focuser and listening Companion. There is something magical about another person listening intently to us that supports us in hearing ourselves. All of us can learn to listen to ourselves and the world around us at a more and more consistent place of Compassionate Presence. This is the intention of the Level 1, 2, 3 and 4 workshops – building skills and practicing how to hold this compassionate, trusting space for yourself and others. And so… back to prepping for the holidays. If you had something come up for you with the earlier exercise that was negative or something you did not want to happen, there is one more invitation you might try now or sometime soon. Sensing into your body, this time invite what your body is wanting for you around this whole issue of the holiday season this year. Playing with a holiday gift! And here you may be truly amazed at what comes. For example, it could be joyful Ho! Ho! Ho’s as you get an image of how the real joy of the holiday season is there, alive and well, in you after all. No longer buried under a pile of Oh NO’s, your joyful expression for this year can be discovered, embodied and lived fully. You will know exactly what you need to keep that sense of holiday cheer going so that you live with more ease this month. And if you find it hard to get to this sense of ease yourself, this may be a powerful time to gift yourself with a Guided Focusing Session. I can guide you (in person or over the phone) in listening within from that place of Compassionate Presence and really hearing what is wanting to be acknowledged. If you are local, you might even want to consider the ultimate gift to yourself – a Guided Focusing Session from me with Conscious Body Work by Kari Kovick. You get double support in holding Presence from both Kari and I. Now, go get it on! Arms open wide to the holidays and Ho! Ho! Ho! 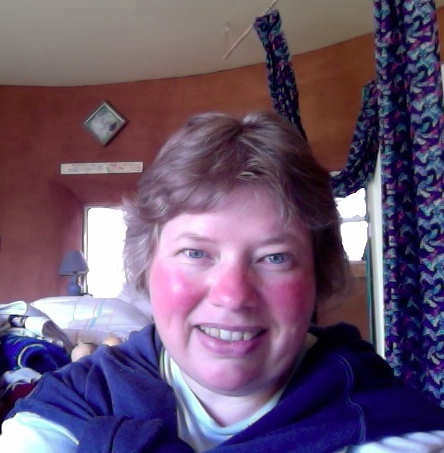 A Stopped Process Moves Forward – oh Happy Me! I found these words on facebook this morning and they speak deeply to me of the life forward movement that is always there when we are able to really “be” with the mistake and keep this beautiful process we call life moving. The power of all of my experiences with Focusing are that they have proven to me again and again that no matter how large a mistake may feel at the time, there is a way forward through it to something one might call “success”. And for this knowing, tears come and I feel a deep sense of gratitude. I can easily access tears and gratitude right now because I recently made what feels like a large mistake this Monday. Briefly, I was involved in an accident where a large steel rod landed on the top of my foot creating a pulsating waterfall display of blood onto the ground around me. Healers and Rescuers descended upon me. No one thought to ask me how the experience was for me. When I commented “oh look, I can move my toes” no one heard. I flowed with the choice to go to the Emergency Room in what I would call ‘uncomfortable’ territory until I got back home and then I knew immediately that I had lost Self-in-Presence during this experience. My ‘mistake’ was something about letting emotional well-intended others pull my Self-in-Presence out from under me so that I made a choice that was not, overall, in my best interest. When I sense in now, there is “a lot” and it begins with a deep sense of sadness that I let this happen (and after ALL the work I’ve done with Focusing!). My foot, in case you are wondering, is healing miraculously well! I also wanted to bring up some recent life forward movement I’ve experienced around my foot injury in Sept. I’ve worked with it a lot on my own of course and also three times with others supporting me in Presence. My first opportunity to invite all this about my foot injury was in the Sept First Thursday Focusing Fun gathering. I remember that Martha was my Companion and I was also supported by the Presence of everyone else there. In this session, I heard and acknowledged from my own sense of compassionate Self-in-Presence some things that felt unheard at the time of the incident. I felt significantly better. I then invited this whole incident again in another session with my Focusing partner. Here I had more time and really deepened my understanding of what was needing to come forth. I felt a sense of completion for now, and I was pretty sure there was more about this that was not yet ready to move forward. For several weeks, the process seemed to sit quietly. Then, last week, I noticed two incidents of accidents in which I over-reacted. This caught my attention as not my usual reaction. One was something my partner did that almost hurt one of our cats, Tess. The second was something I did. I was in the kitchen and picked up one of those kitchen scissors that come apart in the center from the counter. I must not have grabbed both pieces and the bottom half of the scissors came off. It fell right toward Eva, my cat who was eating from her bowl and it smashed the bowl loudly into several pieces. Eva was scared and ran off. I totally freaked, afraid that I had hurt her and of course, scaring her into hiding from me in the process. Oh, what a mess. I knew this was not my normal behavior from a sense of Presence. It also became apparent to me as I calmed down, that I had actually made the situation worse for my cat. I had traumatized her a bit with my fear. I acted from a place that assumed that she was hurt rather than first checking with her if she had been hurt. Here I was, acting from a similar sense that others nearby had done when I had the foot injury. How interesting! Where was that coming from? I could tell by sensing in on my own that it was a part of me that did not want to accidentally hurt someone else and that it had been triggered by the surprise of an accident. I held that with me thinking that it would be a great topic for my next Focusing session. This past weekend, in the Level 3 workshop, I had the opportunity to Focus as a demo for the group. I invited this sense of surprise about causing accidents. And It came. It came as a gesture where I put my hand to my upper chest and gasped air inward with a sense of surprise. I was able to acknowledge and be with it from Self-in-Presence, supported by my Companion and all those present. I heard that it was a part of me that had real compassion for anyone who causes unintentional harm to another in an accident. And I heard that It had a lot of fear that this could be ME. Oh Happy Freely Moving Legs and Feet! I continued to be with It for a few minutes … and … ‘It’ released. It released the same way it came – as a gesture – although it was the completion of the gesture. The breath of surprise in was completed with an outward breath, a sigh. I felt the experience and fear passing through me in that breath, no longer held ‘unacknowledged’ in a stuck way. Along with that, I have a real sense of completeness about this process. Moving forward. No longer attracting accidents because I was stuck. Yes! What a cool little incident, heh? I am really quite grateful for Focusing and how aware it allowed me to be with this little embodied experience of how trauma was held and released in my body. If you had doubt that Focusing can release trauma for you, maybe this has shown you something helpful too. 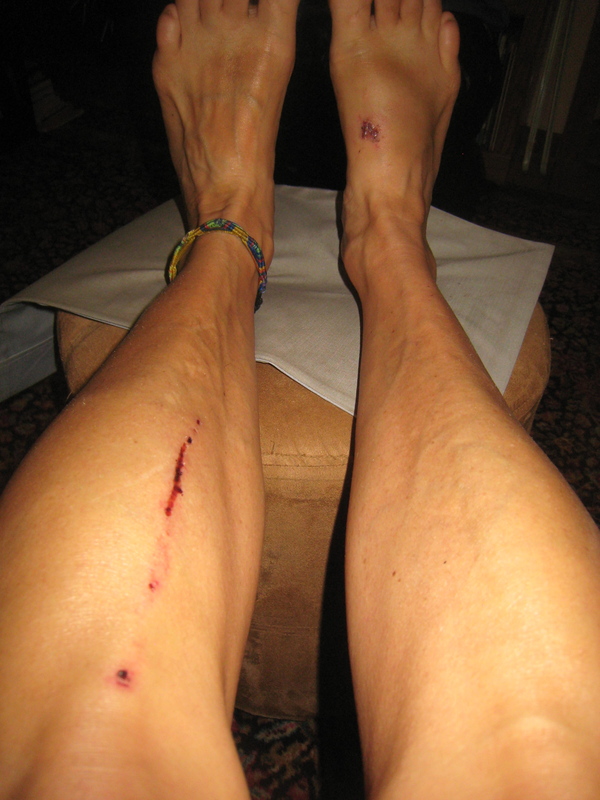 Oh and I almost forgot to share – no, our cats were not hurt in either incident. And at least so far, there are no signs that they have something stuck from these experiences. One of them (Eva) we’ve had since she was young and she seems to be a natural Focuser herself, very trusting, somewhat unusual for a cat. The other one (Tess) is new to us, 3 yrs old. Tess definitely has some stuck processes from her past that she brought with her. I would not be surprised if you read another cat story next year. The adventures of Eva and Tess….